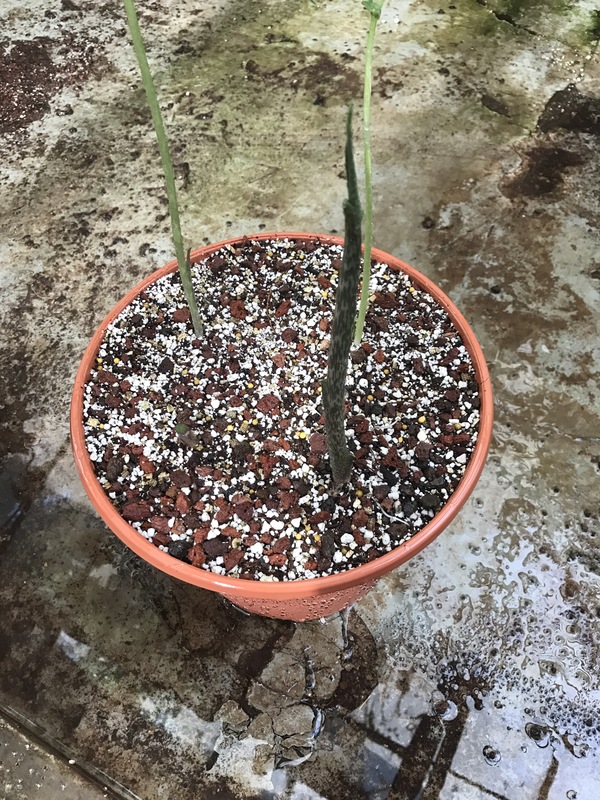 During the initial stages of my work in the glasshouse I found a dormant, six litre pot, labelled as Amorphophallus sp. I was pretty excited about it and set it aside for monitoring. Amorphophallus is such a cool genus. Everyone knows A. titanum, sporting the largest unbranched inflorescence in the world. A. titanum is a regularly advertised attraction at Botanic Gardens worldwide, at the Royal Botanic Gardens Edinburgh A. titanum has its own twitter account. My favourite species has to be A. paeoniifolius. Cultivated as a food crop in Africa and South Asia. This species forms corms weighing up to 8kg, within a year. The inflorescence is much smaller than that of A. titanum, but still manages to reach 80cm high. The foliage is an impressive sight too, rising up to two metres. 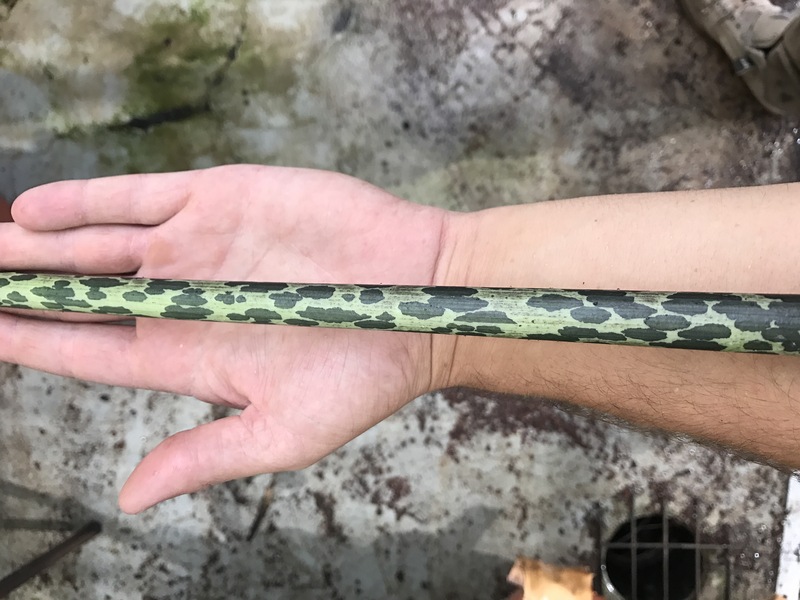 The stems have the fantastic blotchy patterns often attributed to the genus. I hope to get some seeds soon. The image above is not mine, link to the owner. When shoots finally emerged I quickly realised this isn’t Amorphophallus at all, the plant is in fact Typhonium venosum. 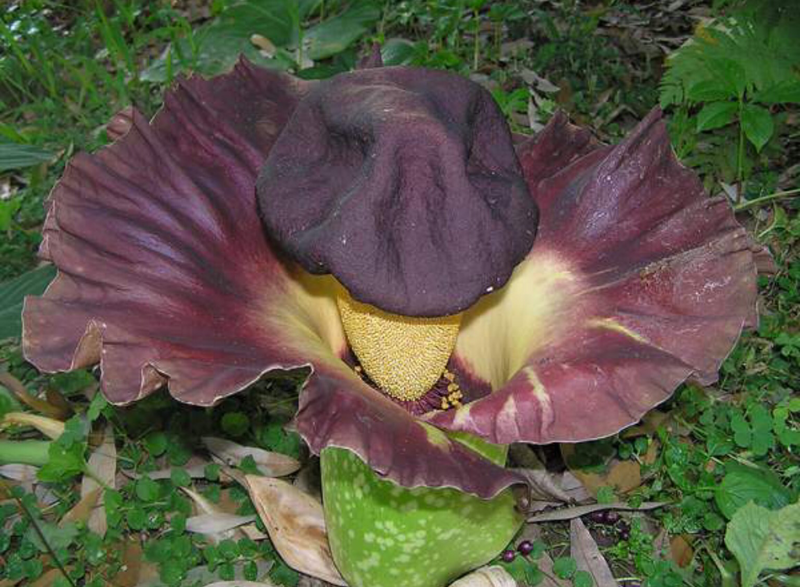 Though the growth of T. venosum does look similar to that of Amorphophallus sp. the leaf shape is distinctive. T. venosum is common in cultivation and the plant matched an entry in the records, its now labelled with its accession. 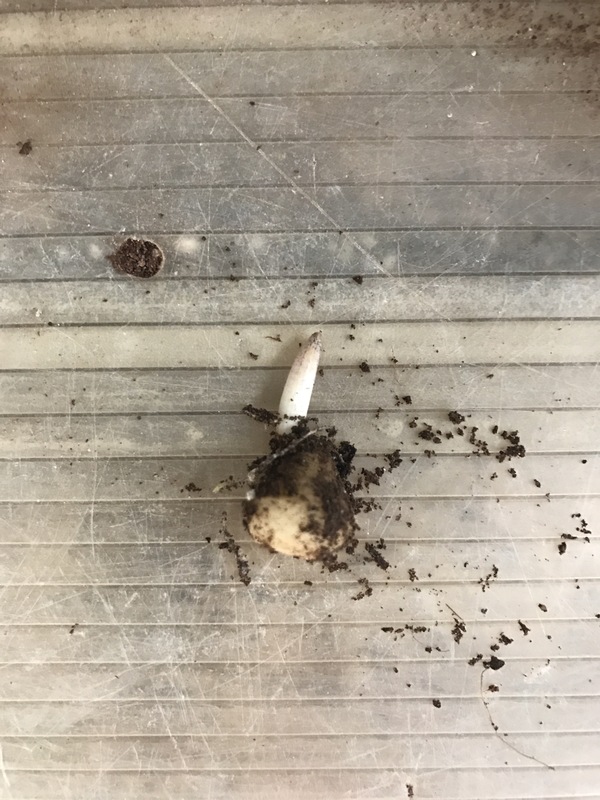 The pot contained a rotten central corm with a few larger offsets shooting, surrounding these were around 20 small corms. I repotted the small corms into 5cm pots and the large corms into 11cm, all foliage was removed. They grew well and today I moved them back in six litre pots, though now we have four. I put a larger corm in the centre then four small ones surrounding, five per pot. Again almost all foliage was removed. I expect nice strong clumps in a few weeks, the small corms have already made a huge amount of growth. T. venosum stems shown above. A small T. venosum corm, above. 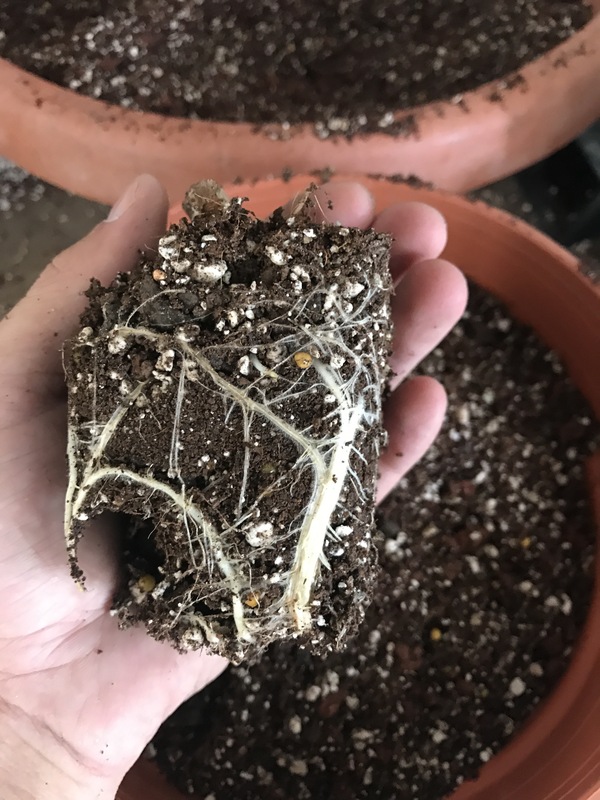 Potted small corm after six weeks, above. A finished six litre pot today, above.